AngelicView: This lovely tribute to Dolores Cannon (past-life regressionist and Quantum Healing Hypnosis Technique inventor) was written by Laron at Transients.info. I have read some of her books and watched all of her videos – but Laron has had personal experiences with her and I love the information he shares with us in this article. The first time I saw Dolores Cannon in person involved me just about walking into her as I opened yet another door after walking up three flights of stairs, trying to find the room she was holding a talk in. She may also have been trying to find that same room as she came towards the door I was looking through. She was walking past a bar at the time and I doubt she was planning on having a beer. We didn’t speak, but we made eye contact and I smiled. I wondered to my self at the time if I should follow her, but I decided it was probably more wise and polite to keep on with my personal search. This was at a venue on George Street in Sydney Australia back in 2010, if my memory serves me correctly. During another talk of hers I attended later on, she took us through a past life regression. I went on to read a couple of her books initially, and in 2011 I made the trip from Sydney to Melbourne to take part in her level one and level two training courses for her Quantum Healing Hypnosis Therapy. Since that time I have read just about all of her books and moved into a totally different direction in life, based on a number of reasons, but her influence on me was large and very positive. On October the 19th, 2014, Dolores Cannon passed away at the age of 83, with her family surrounding her. How do you really judge and explain the impact that a single person has had on the world? Back in 1975 Dolores Cannon published the second volume of her series of three books, ‘Conversations with Nostradamus‘. Through one of her clients, she had made contact with the being that was Nostradamus within our history. Dolores Cannon was able to clarify many of his quatrain’s, and discuss with him personally what they really meant. Within this second volume, information came up around ‘The Tapestry Room‘ after Dolores asked a question based upon looking into the happenings on Earth within it’s history. The client explained that they were walking down a beautiful corridor with walls that resembled lapis lazuli and marble. The client entered the door at the end of the corridor and after seeing a dazzling bright light there, the client made contact with a being which was the guardian of the Tapestry Room. The room was described in detail, and then a description was given of the actual tapestry on the wall. Each thread on the tapestry resembled a single individual spirit on Earth and the impact that individual had made on the lives of those they had encountered and influenced over the span of their life. It was described as a living thing. Through examining each thread, the daily lives of each individual could also be seen, the client described. The tapestry also showed how each life is interconnected, and how the absolute oneness of humanity is represented. The client answered and said that Dolores’s thread was bright, shiny and copper colored, and that it got stronger as she looked at a different part of it. The client said that it started out stronger and then got bigger, and bigger, influencing a lot of other threads. But then they were asked to leave the room because they were not meant to be looking at their own lives. For some reason, it always fascinated me, that whole experience and all that information that came through around the tapestry room, and I thought it would be of interest to mention that here. She was a pioneer of past life regression and also the method of healing which she developed into the QHHT technique from bringing the client into a trance based state as their higher selves then spoke through them. In my opinion, the information she has shared within her many books has expanded the consciousness of many souls because of its authenticity and accuracy, as well as answering many of histories greatest mysteries. She opened the door for many people, people that may not have realised what laid beyond their limited existence back here on Earth and within our third dimensional space. I have had a number of people contact me over the years who have shared their experiences in connection to Dolores, from her very first clients to those that have learnt QHHT. I have heard many interesting stories. I don’t think people will come to understand fully, in their lifetime, the positive role and impact that she has had within the global consciousness, including the shift in consciousness and the new earth process. For those many volunteer souls out there, we found much guidance and comfort from her information. I have been able to provide more guidance to others from using her regression method and sharing some of my sessions, and the sessions of other practitioners, on the site here. Dolores left us all having published 17 books, with two more on the way. 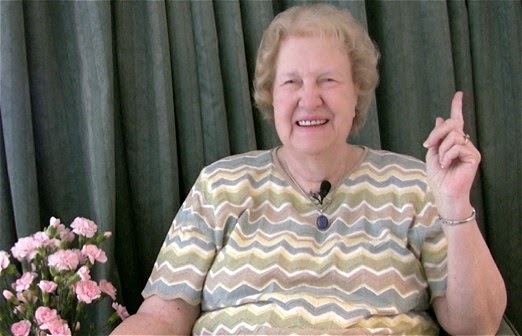 Some of us QHHT practitioners like to think that Dolores Cannon is now with the new earth. Wow, first I heard she died from your blog. I met Dolores Cannon many years ago in Berkeley California, on the subject of Nostradamus. We wrote letters to each other, and as a result of that I appeared on the CBS show “Mysteries of the Ancient World” on the subject of Nostradamus. You can see a clip of me in that show on my Youtube page. In her books one of the readings predicted the bombing of the Pentagon on September 11, although how that was derived from the quatrain she quoted is a bit unclear. She lived a very productive life, and I dont think she will stop after her passing. I published the first half of a book on Nostradamus, “The Decoded Prophecies of Nostradamus,” but I have withheld the second half as I don’t want it to be used as propaganda for the U.S. to yet again invade the Middle East. Got in touch with her company for her to write a forward to it perhaps, but she was too busy taking tours at the time. The wording of Nostradamus is highly symbolic and is hard to decipher, and typically the vision is known after the event. In a few cases he puts in a date. He probably received these from trance/visions, but then told everyone he did it thru astrology to escape the attention of the Inquisition, because in that time, astrology was used for weather forecasting so it was considered “OK” by the Catholic church. In the quatrain numbers themselves, he used a complicated numbering system which took several years to discover, and I let Dolores know about that. She went ahead and asked the “source” and the source confirmed that was the case. You can see the question posed in her books on Nostradamus. It was sort of weird when I read that to see that kind of confirmation of the research I did. I worked (and still do work!) closely with Dolores and Julia Cannon for many years. I founded and continue to run her professional support forum for QHHT Practitioners, and I also assisted Dolores in helping her to teach her classes. I now assist with Julia Cannon. She was and still is an amazing positive influence in this world, helping humanity in countless ways and her writings, I am certain, will endure the test of time. I would like to point out an inconsistency in the article: “One interesting piece of information that people may not have been aware of is that Gene Roddenberry, the creator of Star Trek, was regressed by Dolores Cannon.” I had not ever heard this and did not believe this was true. I just checked with Julia to make sure and she agreed this is incorrect information. Dolores did not regress Gene Roddenberry. While she did in fact reference Star Trek often, she did not regress him. Thank you for allowing me to set the record straight. And how fitting that you’d include Sir Hopkins’ waltz.